Today I have one ebook copy of Cobweb Empire by Vera Nazarian to give away! It’s the second book in the Cobweb Bride Trilogy, following Cobweb Bride. I haven’t read these yet, but they’re on my to-read list since I have read (and loved!) another one of Vera Nazarian’s books, Lords of Rainbow. Also, I have been hearing that these books are wonderful! 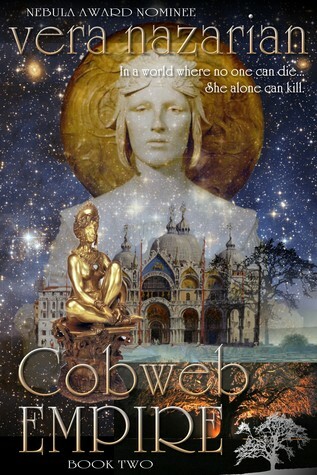 Cobweb Empire (Cobweb Bride Trilogy #2) is the second book of the intricate epic fantasy flavored by Renaissance history and the romantic myth of Persephone, about death’s ultimatum to the world. Now that she’s Death’s Champion, what will Percy do? In a world where all death and dying has ceased, and only one person can kill, everyone can only expect a miracle. But what if it’s just the tip of the iceberg? Percy Ayren must make her way south, despite all odds, to the place where the death shadow of the Cobweb Bride calls her. With the help of her companions and the invincible black knight, Lord Beltain Chidair whose enigmatic presence disturbs her in a way she cannot explain, Percy must continue her quest, while the mortal world falls apart around them…. Meanwhile, the Marquis Vlau Fiomarre faces the truth of his impossible feelings for Claere Liguon, the Emperor’s daughter. He had cruelly taken her life, and now he must serve her until his last dying breath—it is no longer a matter of honor but secret passion. And now, the world itself is changing…. A new dark witch rises, and she will make your heart freeze with her beauty and power…. Empires clash, kings and emperors and gods vie for supremacy, the living and the dead are at war, while love stories play out in amazing directions, and new mind-blowing mysteries are born. Experience the stunning continuation of the epic story in Cobweb Empire. Courtesy of the author, I have a copy of Cobweb Empire to give away! This giveaway is open to anyone, and the winner can choose to receive their ebook in one of the following formats: PDF, Mobi, or Epub. 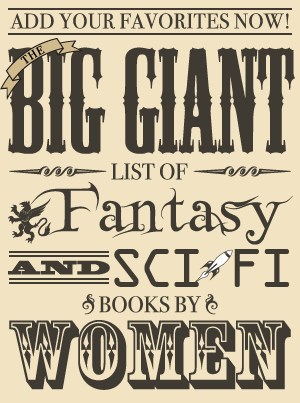 Giveaway Rules: To be entered in the giveaway, fill out the form below OR send an email with your preferred ebook format to kristen AT fantasybookcafe DOT com with the subject “Cobweb Giveaway.” One entry per person and one winner will be randomly selected. This giveaway is open worldwide. The giveaway will be open until the end of the day on Saturday, October 26.